Were you watching Hidden Killers: the Victorian Home on BBC Four at 9pm last night? 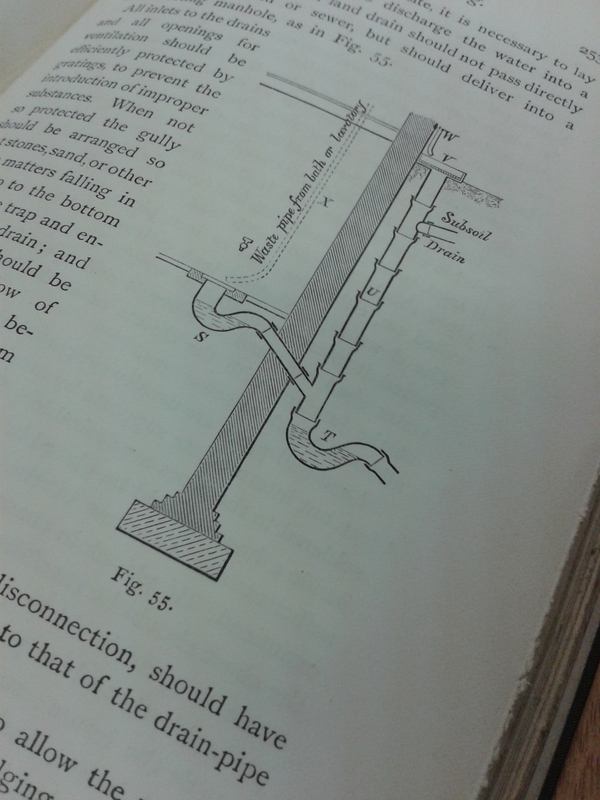 If you were, you doubtless marvelled at a detailed diagram of a Victorian drain or gasped in admiration at a drawing of a gooseneck balustrade. Well, who wouldn’t? But we rather suspect it didn’t cross your mind that these images would’ve been sourced from your very own Architecture Library. As the Library to the only School of Architecture in Wales, we often receive pleas for information about buildings from members of the public. So an email in August from a television production company asking for diagrams on the danger of stairs in the Victorian home wasn’t out of the ordinary. Later that same month, their assistant producer visited our Rare Books Collection, which holds material dating back to the early eighteenth century, and could barely contain her excitement at the diagrams of Victorian staircases and drains we were able to provide. 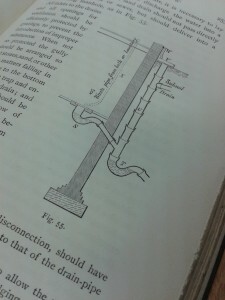 She was soon photographing out-of-copyright images of staircases from Nicholson’s The New Practical Builder and Workman’s Companion and a cracking diagram of a toilet drain from Galton’s 1896 publication Observations on the Construction of Healthy Dwellings, images which may be seen on BBC iPlayer at 21 mins 15 seconds and 31 minutes 50 seconds respectively, until 24 December 2013. Next week’s broadcast, Hidden Killers: the Edwardian Home, won’t be quite so exciting for the Architecture Library staff. Nothing from our collection features in this second episode, as the Architecture Library is woefully lacking in diagrams of asbestos installation from the early Edwardian period. Ah well, at least we were able to give pleasure to admirers of Victorian drains and staircases.